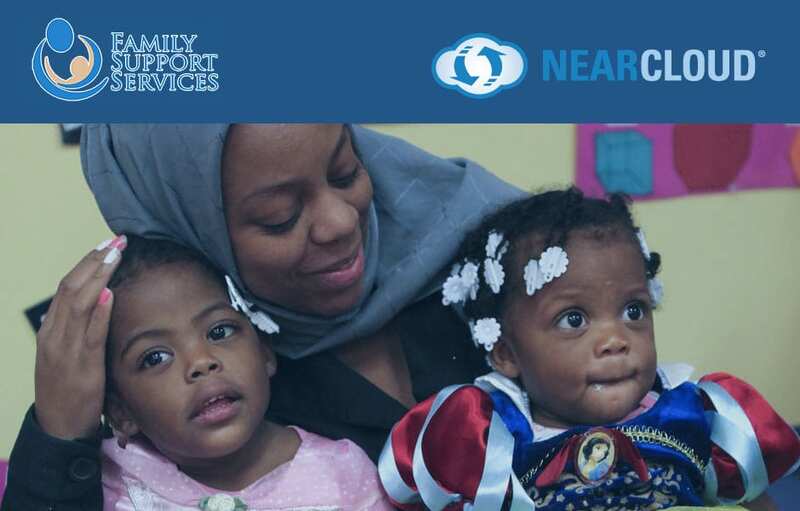 Success Story: Large Non Profit Improves Productivity, Lowers Stress with NearCloud (FSS) is a non-profit social service organization that addresses the needs and builds the parenting capacity of low-income families with children in the birth to five year-old age range. Today, Family Support Services helps almost 2,000 children and their parents in the Philadelphia area. Prior to IT Solutions’ involvement, Family Support Services worked with a consulting firm that was unable to handle the client’s growing technology needs. Family Support Services came to IT Solutions mostly due to issues which revolved around the poor level of support, including lack of communication and slow response times. Working from about 11 different locations, approximately two-thirds of the FSS users accessed the network via standard PCs and laptops while the remaining users relied on thin client terminals for access. Because of the diverse community which Family Support Services supports and widespread locations of their offices, FSS realized early on the benefits of offsite network hosting and had been an early adapter to this arrangement. The organization wanted to continue to host their network virtually with the confidence that IT Solutions would provide overall better support than the previous consultant. When IT Solutions stepped in, most of the software on the system was several versions out of date. Provisions, the main application that enabled remote access, had not been updated recently and the version of Microsoft Office the organization was using was more than 7 years old. Because of the aging network, user log-ins could take 10-15 minutes and the system was slowing down without warning. Another common problem was intermittent printing problems in the FSS thin client environment. FSS needed a reliable consulting firm that could provide a hosted solution, fix the out-of-date network without requiring a large expenditure on an entirely new server infrastructure, while providing exceptional support to all of their users. After finding IT Solutions through an online search, FSS and ITS engaged in a series of meetings to explore the topic of switching cloud providers. During the meetings, many strategic business outcomes were identified. Family Support Services decided to go with IT Solutions’ recommendation to implement a Dedicated Hosting solution combined with the SharedVision Core Plan for local PC support. The Dedicated Hosting Plan is a network service which provides secure, stable, cost-effective, offsite server hosting at the IT Solutions data center. IT Solutions’ reliable hosting option is optimized for high speed and high redundancy. In conjunction with the implementation of the necessary server and software upgrades for Microsoft, the new platform improved the overall performance and functionality of the Family Support Service network. The user experience improved dramatically too, increasing the access speeds of each PC, laptop or thin client as well as alleviating the printing problems users faced in the past. The Core Plan provides basic patching, maintenance, and security management for workstations and laptops allowing FSS staff members to be able to focus on organizational responsibilities and less on IT issues. Under the Core plan, the ITS help desk, staffed 24 x7 with Microsoft certified network engineers and knowledgeable client service coordinators, provides troubleshooting and issue resolution at a fast response rate. Like all ITS SharedVision clients, FSS was assigned a dedicated Virtual Chief Information Officer (VCIO) upon coming on-board. The VCIO performs many account management functions, but also works closely with clients to develop long-term strategy, collaborating on budgets, and attending technical committee and board meetings. This role eliminates any lack of communication as the VCIO acts as a liaison between the client and the ITS engineers, keeping both sides well informed at all times. The VCIO also delivers semi-annual VCIO Reports, which detail the client’s infrastructure and provide recommendations for future action. Family Support Services experienced an immediate increase in productivity upon making the switch in providers. IT Solutions’ more personal approach will be an intangible but noticeable change from the previous provider. Also, the change in consultants has allowed FSS to lower capital costs, operate network equipment over a much longer usable lifespan, and focus on their mission of helping low-income families rather than worrying about technology. In addition, the constant communication between Family Support Services and IT Solutions has helped eliminate the stress that accompanied the deficiencies in customer service from the previous provider.